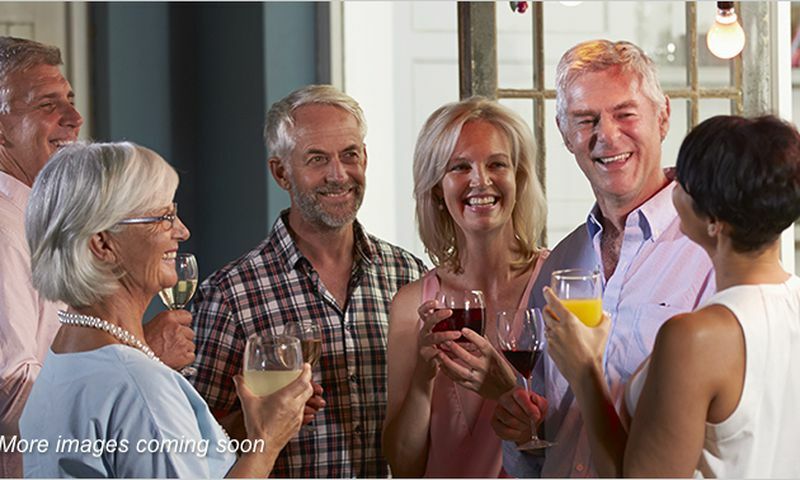 Domani is an upcoming 55+ community being developed by The Rilington Group in Palm Desert, California. Upon completion, this neighborhood will consist of 202 single-family homes. Residents will be able to enjoy resort-style amenities at the proposed clubhouse as well as outdoor recreational facilities. Current plans call for a spacious clubhouse that will feature a fitness center with the latest audio and video technology. Meeting rooms will be available for clubs as well as gathering spaces for larger events and holiday parties. Outdoors, residents will have access to a swimming pool with a patio, bocce ball courts, a pickleball court, and plenty of green space for enjoying warm weather. The Rilington Group began construction of Domani in June 2017 and plans to build 202 single-family homes. Homebuyers can choose from five distinct floor plans ranging in size from 1,586 to 1,886 square feet. Designed with an Early California-style architecture, these upscale homes will have two or three bedrooms, two-and-a-half or three-and-a-half bathrooms, and courtyard spaces. Features that are often sold as upgrades will come standard at Domani, including granite kitchen counters, maple cabinets, and ceramic tile master baths. Located within the Coachella Valley right off Interstate 10, Domani offers easy access to shops, dining, recreation, and entertainment. Palm Springs International Airport is only 15 miles away, while Los Angeles, Orange County, and San Diego are only a two-hour drive from the community. Several golf courses are located within the immediate area, including the Mountain Vista Golf Club and Shadow Hills South Course, and several breathtaking nature preserves are nearby as well, like Joshua Tree National Park and Mount San Jacinto State Park. Request more information on the progress of Domani! Domani will offer resort-style amenities right in the neighborhood. Once completed, the community will feature a clubhouse, a fitness center, a private park, and more. There are plenty of activities available in Domani. Here is a sample of some of the clubs, activities and classes offered here. The Rilington Group began construction of Domani in June 2017 and plans to build 202 single-family homes. Homebuyers can choose from five distinct floor plans ranging in size from 1,586 to 1,893 square feet. Designed with an Early California-style architecture, these upscale homes will have two or three bedrooms, two-and-a-half or three-and-a-half bathrooms, and courtyard spaces. Features that are often sold as upgrades will come standard at Domani, including granite kitchen counters, maple cabinets, and ceramic tile master baths. 55places.com is not affiliated with the developer(s) or homeowners association of Domani. The information you submit is distributed to a 55places.com Partner Agent, who is a licensed real estate agent. The information regarding Domani has not been verified or approved by the developer or homeowners association. Please verify all information prior to purchasing. 55places.com is not responsible for any errors regarding the information displayed on this website.